Motorcycle and ATV riders lack the same protections as passenger vehicles occupants, such as seat belts or the safety of a steel enclosure. Exposure to the open road and impact with other vehicles in a motorcycle crash can lead to exponentially more severe injuries than car accidents. When dealing with motorcycle and ATV accidents, the complexities of the law can be tricky and negative stigmas against motorcyclists can pose a challenge. 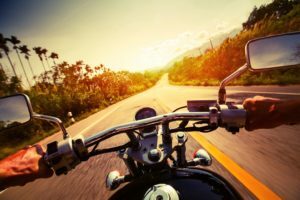 Motorcyclists are often viewed as being thrill-seekers and are blamed for auto accidents without rigorous investigation into what really happened. If the case goes to trial, the jury may have a bias even if the facts say otherwise. The lawyers at Geisleman & Brown are on your side. We have years of experience representing claims involving motorcycles and ATVs. We will evaluate the facts of your case, provide our informed opinion on the merits of your claim and fight to help you obtain the compensation you deserve. With any vehicular accident, it’s important to begin an investigation as soon as possible after the crash occurs. This includes interviewing witnesses, documenting key facts and gathering evidence. The longer you wait to begin this process, the more difficult it becomes to prove the facts of your case. At Geisleman & Brown, we understand what to look for when investigating a motorcycle or ATV crash. We realize that rider error is often not the real cause of the accident. Instead, negligent drivers, mechanical failures or vehicle design flaws may be to blame. Knowing the possible causes of accidents will help us ensure the appropriate parties are held responsible so you can get the compensation you deserve. We understand the complexities and nuances involved in motorcycle and ATV accident cases to bring your case to a successful resolution. Insurance companies will not want to pay for your injury or embrace the full impact of your accident. You deserve the health care and financial support necessary to cover medical costs, pain and suffering, lost wages and property damage. Our attorneys will investigate the circumstances of your accident and build the strongest possible case. We will gather evidence, document the extent of your injuries, and work with insurance companies to establish who is at fault, whether it is another driver, a vehicle manufacturer, supplier or designer, or another party. 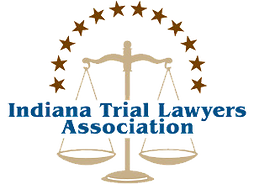 While many of our cases settle out of court, we prepare each case as if it were going to trial. Our ultimate goal is to see that you get the financial compensation you deserve following your accident. To schedule a free consultation to discuss your motorcycle or ATV accident claim, give us a call at 260.420.2001.